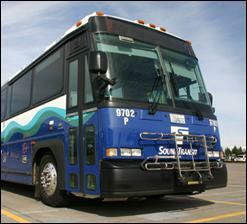 Sound Transit IT is currently in the process of implementing an Automated Passenger Counting System (APC), for bus and rail systems, to meet FTA National Transit Database sampling plan requirements. The APC system includes GPS/Automatic Vehicle Location, as well as a wireless wide area Ethernet network for data transmission. Statistical methods are being used to ensure sampling techniques will meet FTA confidence and precision levels. The Lamoreaux Group (LG) is providing project management and contract administration services for this project, including review of contractor submittals. These submittals include design, equipment, schedule, installation, operations and maintenance manuals, training, and testing reports. LG supported design review and contract progress meetings, performed inspections of existing vehicle and data center/office conditions, as well in progress and completed equipment installation, for compliance with contract documents and accepted standards. LG provided testing support, for equipment and software testing, installed equipment and software checkout and testing, as well as integration/acceptance testing and commissioning. LG prepared the sampling plan as required by the FTA, and provided analysis and review of APC reports. Comparison of the sampling plan with the data acquired from the APC system utilized FTA accepted methods. LG documented the methods required in the FTA reporting manual to assure compliance as applied to Sound Transit’s data collection, as well as cross checking the automated passenger count with revenue or fare box samples using FTA guidelines, for fixed routes and demand response routes. Pierce County is implementing a Closed Circuit Television System (CCTV) on board 180 buses, as part of a plan to increase passenger safety, provide video for incident management, and reduce vandalism. The Lamoreaux Group (LG) is providing planning, design and construction management services for this project. LG surveyed agency project stakeholders and prepared a needs assessment for the system. We obtained information about the Pierce Transit IT network, to determine the ability to download stored video wayside from onboard DVRs, including potential sites for wireless access points. We evaluated the conditions of the existing buses, including potential mounting locations for CCTV cameras, structural adequacy of the mounts, and methods for providing cabling access to cameras. We evaluated potential DVR locations, and provisions for power and connections to remote cameras mounted in the bus, as well as for wireless client radios for video uplinks wayside. We measured light levels inside the buses during daytime and nighttime conditions, to determine the needed camera requirements for light sensitivity. We then inventoried, evaluated and compared commercially available digital camera systems by contacting transit agencies, as well as CCTV equipment suppliers and integrators to review their currently available and upcoming equipment. We prepared a matrix of desired features, as well as information about systems at other transit agencies. We prepared technical requirements recommendations for the cameras, housings, cabling, DVRs, wireless communications/radios/antennas, as well as for wayside access points including radios, amplifiers, antennas, power, and network cabling. We provided evaluation criteria, including functional and technical requirements, prepared a cost benefit analysis for system features, financial analysis for total cost of ownership/life cycle costs including operations and maintenance costs, yearly budgetary costs, as well as capital cost estimate for the system with various feature combinations. We recommended the most effective number of cameras per bus and modified vans, as well as wireless and non-wireless data transfer methods. We determined the level of software integration required to support the systems, as well as training requirements. We made recommendations for the chain of custody for video evidence. Ongoing project phases include preparation of functional and technical specifications for the request for proposal, management of pilot installation, and full implementation of the system over a 3 year period, including review of contractor submittals, inspections, testing support, and assistance in closing out the contract. WiFi Implementation – Design, Specifications, and RFP. 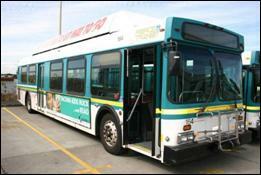 RTD is preparing to deploy a new Pass Utilization Monitoring system for all of its buses to monitor monthly pass usage. LG is providing Network Engineering services to design a secure WiFi infrastructure at bus facilities to deploy a new Pass Utilization Monitoring system for all RTD buses. The Pass Utilization Monitoring system will utilize a wireless Ethernet network at bus facility locations using 802.11a, 802.11b/g wireless access points. LG is identifying potential WAP locations, mounting requirements, and power sources/power panels for 120 VAC circuits to the WAP. Connections from WAP to the network will be identified, including firewall and security requirements. LG is also providing drawings showing the overall system architecture/topology, coverage areas, and system details including defining the performance criteria. Voice/Data Radio System Upgrade – Design and RFP. 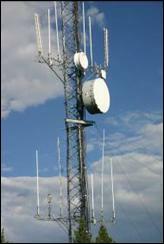 LG is assisting RTD in upgrading their current radio system to meet new FCC regulations. LG is preparing specifications and defining performance criteria, including preparing a report with findings and recommendations from site investigations. Site Investigation - WiFi, Voice/Data Radio. LG is conducting site investigations to determine the existing conditions at RTD and related services to support the two projects above. LG is completing a site survey analysis to determine the design for the WiFi system and the radio system upgrade. The system will be a reliable replacement that easily expandable and easily integrated, has embedded redundancies, is fault-tolerant, and is interoperable with fire, police, and safety at both state and local levels. Secure WiFi Network Engineering Design Requirements for ERP Deployment. 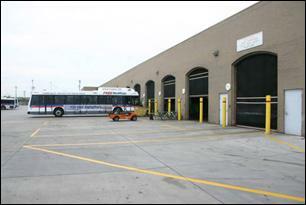 RTD is preparing to deploy a new Enterprise Resource Planning system for all of its bus and light rail maintenance and parts facilities to assist in maintenance activities. LG is providing Network Engineering services to design a secure WiFi infrastructure to include the following locations: Elati light rail maintenance bay, 3-4 parts warehouses and several mechanics bays at 4 sites. LG is preparing specifications and drawings for this system. Bus/Rail CAD/AVL System, Voice/Data Radio System Upgrade – Design and RFP. LG completed the design of a new radio system, to replace an aging 17 channel 450 MHz UHF simulcast radio system as part of an existing Orbital CAD/AVL system, with 23 GHz and 2 GHz point to point microwave links. The new system design consists of a new 700 Mhz public safety APCO P25 compliant interoperable trunked/voice and conventional/data radio system, with 10 tower sites, and point to point microwave links to provide WAN connections, as well as fiber on the core network, and for core sites. Use of 802.16d Mobile WiMax was evaluated for data connections at long distances, and 802.11a,b,g client radios were implemented for short range data communications as part of the system design. LG evaluated existing communications tower sites, evaluated existing FCC licensing, and existing mobile, portable, base station, repeater and dispatch equipment. LG evaluated data transport to back end CAD/AVL software, and how to build the interface to this software, as well as to mobile data terminals on board buses. Mobile and stationary equipment totals 1345 vehicles (1071 bus vehicles, 174 lightrail vehicles, and 100 support vehicles) with the capability to expand to at least 2000 vehicles; and 275 portable handheld units (125 lightrail personnel, 100 transit security, and 50 bus facility maintenance personnel) with the capability to expand to at least 400 portable handheld units. The new Radio System includes Operations Control Center Dispatch Radio equipment, repeater communications equipment, microwave and fiberoptic links, vehicle radio equipment, and personnel handheld radio equipment. There are 7 bus dispatchers, and 3 rail dispatchers. LG is assisting RTD in upgrading their current radio system to meet new FCC regulations. The system is a reliable replacement that is easily expandable and easily integrated, has embedded redundancies, is fault-tolerant, and is interoperable with fire, police, and safety personnel at federal, state and local levels. LG chaired stakeholder meetings, prepared design criteria, investigated current radio system options, prepared a preliminary and final report of findings, cost estimates for four different options, and prepared specifications and drawings.